Finding aid only for Manuscripts Small Collection 2272. Photocopies of letters, 1927-1929 (5), mostly written by Rosavelt and Lucian Payne, of Franklin, Kentucky; and promissory notes, tax receipts, and other receipts, 1894-1908 (17), of James K. Hagan of Woodburn, Kentucky. 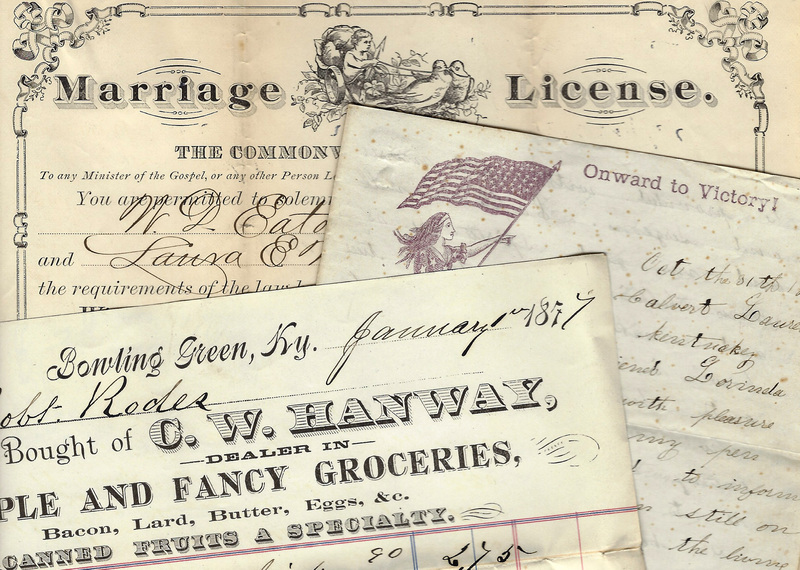 Folklife Archives, Manuscripts &, "Hagan-Payne Family Papers (SC 2272)" (2010). MSS Finding Aids. Paper 1392.